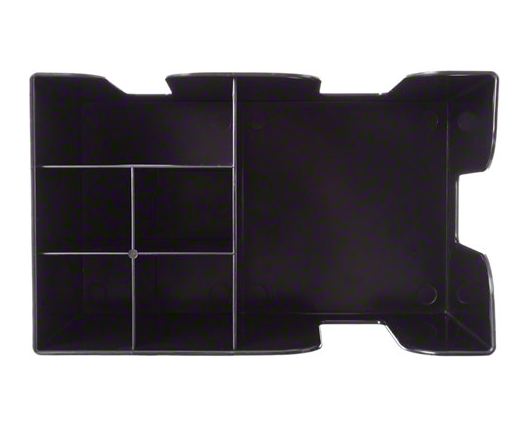 This caddy is designed with a variety of compartments that keep tables clean and efficient throughout service. 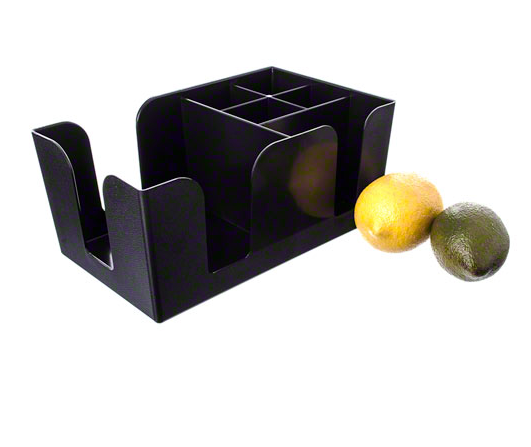 Equipped with one large compartment that is ideal for storing napkins, along with five smaller compartments that are perfect for storing straws, toothpicks and other items, this caddy ensures that every piece has its proper place. 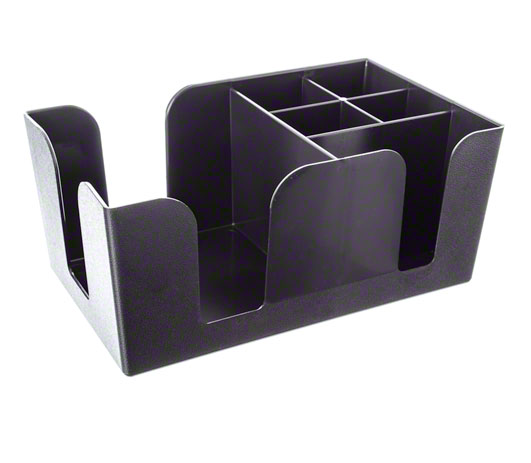 Constructed from dent and scratch-resistant black ABS plastic, this caddy will be able to last you and your establishment through years of operation.